Ann M. Rieger is a Past President of Davis|Kuelthau, s.c. and currently serves on its Board of Directors. She is a practicing attorney on the firm’s Corporate Team. With 29 years of experience, Ann concentrates her practice in the areas of estate planning, tax planning, tax exempt organizations, and business law. 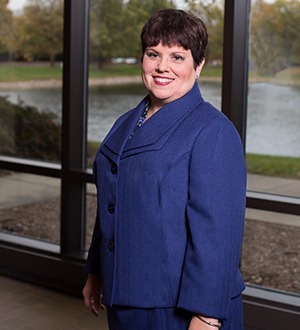 While her clients are typically business owners, professionals and senior executives who appreciate her thoughtful and creative approach to their often complicated personal, tax and financial planning challenges, Ann regularly works with clients of varying personal and financial situations.